Company Puma introduced its version of samozashnurovyvayuschihsya sneakers, which have to compete with sports shoes the Adapt Nike BB with the same function. It is expected that the Fi Puma sneakers will go on sale next year, priced at $330. It’s a little cheaper than the Adapt of the Nike BB that will be released this year and will cost $350. between intuitiveness, usability and accessibility. In the end, was created the shoes for workouts and everyday use. Even in 2015, the German company has released samozashnurovyvayuschihsya sneakers Autodisc — around the same time, there is the legendary Mag sneakers Nike, which became a rarity. The only problem was that Autodisc was not practical for the transition to retail sales — they were too expensive, too heavy and not comfortable. Unlike Nike sneakers in the new model Puma motor for the automatic lacing powered by a battery located in the upper part. It provides extra comfort and does not interfere with the Jogging. In a layer between the sole and the insole is a removable battery, the capacity of which can be recharged via wireless charging or placing in the case for charging two batteries. 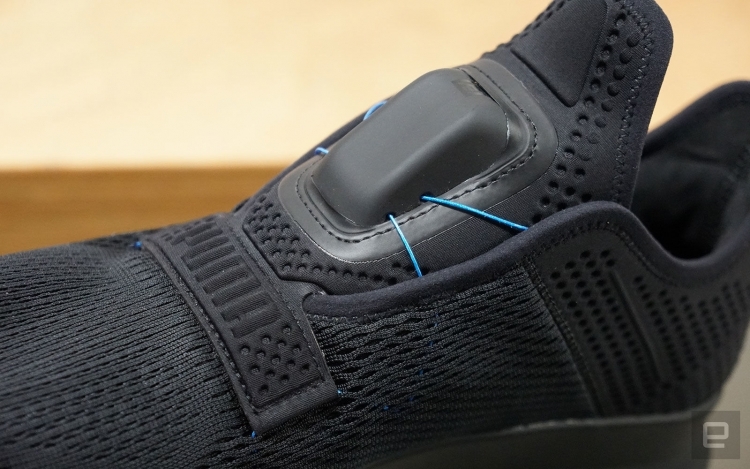 Like the Autodisc, work sneakers Fi, you can control with your smartphone — at the moment this will only fit the iPhone.